Even if you make your own music online, you will still need to interact with the media in some form or the other to reach out to your audience. A good journalist can introduce your review, premiere, interview or an information about your band to new fans and also highlight your profile in the music industry. Hence it is important to learn how to treat journalists with respect. Here are 5 key points you must consider when interacting with journalists. 1. Find Your Publicist: Finding the right journalist to promote you is a very important step in starting your promotions as who you surround yourself with will reflect all about you. Other journalists also observe who writes for you regularly and will promote you equally. Your publicist should be of high reputation, especially in the music industry. 2. Attitude: It is important that you pay attention to the journalists during and after your shows even if you are very busy. Try to greet them and give them a few minutes as they are the ones who are taking their time out to write about itand promote your music in their gatherings. Sometimes they will need your help in getting better photos or sound files for printing your article well. Provide them whatever support they need from you. Remember, it is finally all about your promotion. 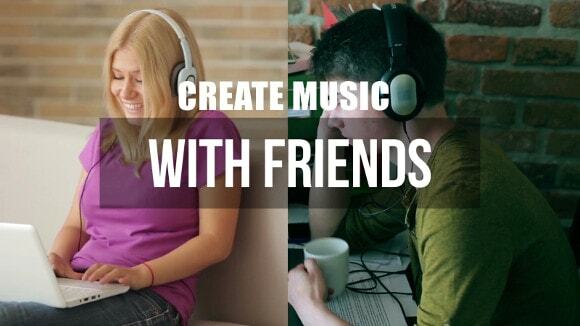 Building a long term relationship with them will be definitely fruitful for your music career. Take time out to write to them after you see their article. 3. Be Professional: Sometimes, artists might have common friends with the journalists. In such a case, do not send them friends request over Facebook or any such platform. Instead of that, you can follow them on Twitter and thank them about how they have been helpful in promoting your music. This will win them as your friend and they will write well about you. 4. Remember Their Name: It is definitely possible that you might meet many journalists in your shows and during your career and you might not remember them all. But do make an effort to remember the ones that have been following your work and promoted you well. Learn to write their names with the right spelling, without any typo errors and pronounce correctly. It just takes a few more seconds to proof read your email before sending it. 5. Sharing Their Articles: When the journalists have spent hours writing well about your music and you, it just takes a few minutes for you to share it within your social network. It is not for promoting their writing but also about you and your work. If you don’t, they will be left thinking that you don’t really care about their writing and they will not write about you again. Author: Ashley Nicolette Frangipane is an American songwriter and singer. She was born on September 29 1994. She believes that you can make your own music online. She signed her first contract in the year 2014 with Astralwerks after which she came out with her debut EP.